I'm not a big personal memoir reader, generally I end up, thinking of them as pity memoirs but this book proves me wrong. When Ficre, Elizabeth's husband dies unexpectedly of a heart attack, Elizabeth must find a way to come to terms with her heart ache and grief. This is a beautiful testament to love, friendship, fatherhood, beginnings and endings, what a wonderful testament to a love that will never be forgotten even as her and her son's lives mist go on. A touching and beautiful story of love and remembrance of a man by his wife. This is a love story that is a story of loss. The author is a poet and writes in beautiful prose about her husband and the life they shared with their children before his untimely death. He was an amazing man. Lisa It is in hardback, paperback I am pretty sure and kindle. . In the spring of 2012, four days after his 50th-birthday party, Ficre Ghebreyesus had a heart attack while exercising on a treadmill in the home he shared with his wife, Elizabeth Alexander. Ficre was an artist, chef, poet, father, and beloved husband. 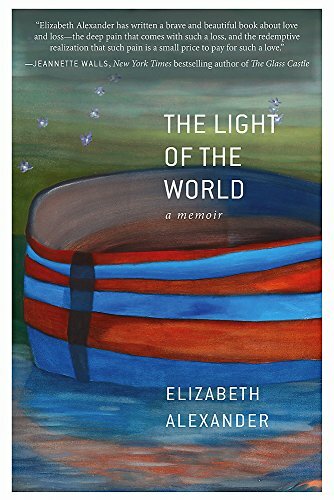 This memoir documents mesmerizing essays from their life together as well as as scenes from his past in war torn Eritrea, where he grew up.